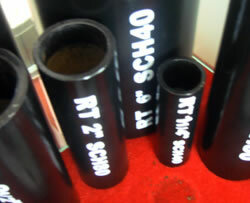 ASTM A53 steel pipe can be used for manufacturing circular components like drill rod, transmission shaft and bicycle frame, which can save on raw materials, and reduce processing time, when comparing to use solid steel. 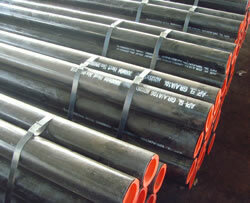 It is manufactured strictly according to ISO9001 quality management system, and is in accordance with ASTM A53 Grade B. 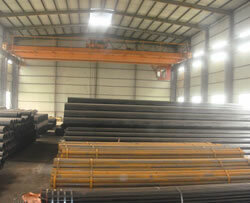 Thus, you can feel comfortable in choosing our products. 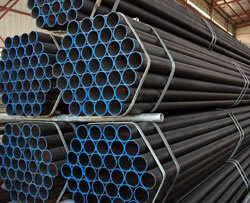 Seamless Steel PipeOur seamless steel pipes are in accordance with a wide range of standards, like ASME B16.9, ISO, API, EN, DIN, BS, JIS, and GB, etc. 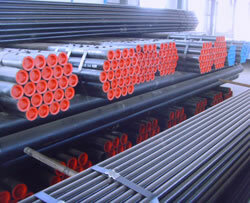 They feature high strength, good toughness, and high resistance to corrosion, and are widely used in many industries, such as petroleum, power generation, natural gas,..